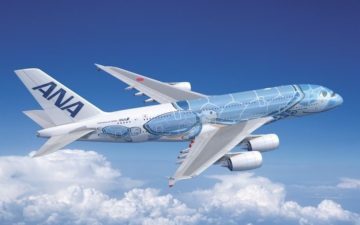 ANA (All Nippon Airways), is the Japanese Star Alliance airline and has one of the most comprehensive online tools for searching Star Alliance award space. I highly recommend everyone use it (or at least know how to use it) regardless of whether you’re trying to redeem United MileagePlus miles, US Airways Dividend Miles, Air Canada Aeroplan miles, or other Star Alliance miles. If you already know how to use the ANA award search tool then by all means skip this post, but I get a lot of questions about it, so figured a tutorial would be helpful. In order to use the ANA award search tool you first have to join their frequent flyer program, the ANA Mileage Club. You can join here, and it’s free and instant. For whatever reason the link to the ANA award tool is really tough to find on ANA’s website, so I have it bookmarked. Here’s the link to the ANA tool. When you get to the results page, scroll to the very bottom and you’ll see the button reading “Use Star Alliance Member Airlines” is no longer greyed out! Click it, and you’ve now “cracked” into the Star Alliance searched tool. On the next page you’ll be able to search award availability for any Star Alliance route. So pretend we want to search for Star Alliance award space between Frankfurt and Paris for November 23 and November 26. Once you enter the dates and routes, scroll to the bottom of the page. The yellow rectangles that say “OK” mean there’s availability, so as you can see, every flight that date has availability in business and economy class. The “-” in the first class column indicates that the cabin isn’t operated on that flight. If it were operated on the flight but not available it would show an “x” instead. The good news is that if you want to later change the cabin you’re searching there’s a dropdown menu at the top of the page that allows yo to quickly change the class of service. Obviously if you’re using mileage currencies other than ANA Mileage Club miles then you’re using the ANA tool simply for research purposes. Once you find flights with availability I generally recommend either jotting them down on a notepad or pasting them into TextEdit, and then you can call the Star Alliance airline your miles are with to book (unless they allow online award bookings). Generally speaking each Star Alliance airline should have access to the same partner award space. There are some cases of blocking, like what US Airways is doing with Lufthansa, but aside from that it should be pretty consistent. Hopefully this makes it a bit easier to use your miles! Chase Freedom 20,000 Point Sign-Up Bonus! Informative post! Lucky, do you have a list of all *A airlines for with the UA site will not search award space? @ mangoMan — It consistently doesn’t show Brussels and LOT space, though aside from that it’s more that it doesn’t show accurate space. For example, it often doesn’t show premium cabin award space on Ethiopian when it is in fact available. Good post. However there are two limitations with this web site. @ caveman — Agree on the first point, though a bit confused by the second point. You absolutely can search routes ANA doesn’t fly through the partner award search tool. I recently used this tool for a North Asia destination routing via Europe. While you can backdoor it without any miles, it sure made it easier with 100 SPG miles in my ANA account! The trick to finding that page quickly from the ANA homepage is the drop-down menus in the lower-left of the homepage under “My AMC Account”. Awards Redemption->Award Reservation and you’re there. You write the most informative posts… What I wouldn’t have given to have stumbled upon this last year! Do you know what the issue is that ANA has with 9W space? 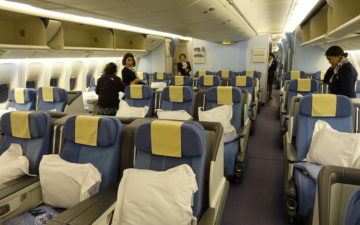 I can see these seats on UA and Aeroplan but not on ANA. This is absolutely brilliant. Thanks a lot for sharing. one caveat you should mention is that ANA site wont show you the taxes/fuel surcharge imposed unless you have sufficient ANA miles in your account — or else it will only quote the miles but wont quote you the taxes/fees. You mention that the UA site will not show Brussels space, but can a UA phone agent see space that’s not displayed on their website? I’ve got a Brussels flight that shows available in business class on the ANA tool, but when I call UA to book it, they claim they can’t see any space. @ DBest — So Jet Airways isn’t a Star Alliance partner, and for their “other” airline partners they don’t actually seem to show award space, but rather just flight schedules. @ Eric FD — Good point, though keep in mind if redeeming Star Alliance miles the total isn’t necessarily relevant, since each airline has different policies on imposing fuel surcharges and other fees. @ Kevin — They absolutely should see the space. What route are you looking at? @ Kevin — That’s odd, availability should match. I’d recommend hanging up and calling again. Still no luck. I’m going to try back tomorrow, since this availability just popped up today…maybe it takes a day for their system to see it. @ Kevin — There is sometimes a lag, so that could explain it. @Mike. I am an ANA member with points in my account. How does it give me access to the KVS tool? Thanks. 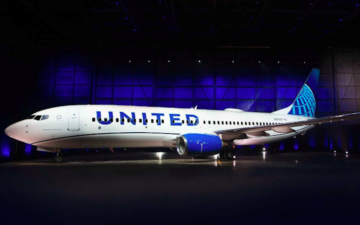 Hi Ben-sorry for this silly question…but I am looking for flights to Tokyo via Europe using United miles. Let’s say I find a route with availability on US Airways. When I call United to book business class tickets, would I be charged the UA mileage charge of 120k for the trip or the US redemption of 90k? As always, THANK YOU! @ Lola — You’re always charge based on the mileage cost of the airline with which you have miles. So if you’re redeeming United miles you’d be charged based on their award chart. I’m actually supersonic excited because I’m planning on using my first bit of miles soon!! I’m going to buy some Alaska Airlines points to fly to HKG on CX in May 2014, however their availability doesn’t show CX award space so I had to call the AS agent, and she said there was only Economy class seats available. And she didn’t seem too assisting. I asked if there are any dates in May that have availability and she just said no, Economy only. -_- I was wondering if there is a way to find out award space on CX flights so once I see, I can purchase some miles and redeem them? @ Mitchzmagic — Yes, I’d suggest using ba.com to search for award space. Whatever space they show for Cathay Pacific should also be bookable through Alaska. @lucky – Thank you, that’s wonderful advice!! i used ANA to search for a US domestic flight. -the results show “OK”, but the box above “OK” is gray. what does this mean please? -does ANA allow 1-way rewards? -does ANA charge YQ on SQ please? @ Mr. Cool – If you see the orange “OK” box you should be set. I’ve only seen a gray “OK” box when searching for a roundtrip, though once you select the outbound date the return options should turn orange as well. ANA does not allow one-way awards, and they levy fuel surcharges on most carriers, including Singapore. I am getting ready to transfer a bunch of AmEx membership rewards points to ANA so that I can use them for United flights to the UK. I was able to follow your excellent guide to determine availability, but ANA couldn’t tell me the fees and taxes. If I book a United flight through ANA, will I be charged the same taxes and fees as if I had booked the flights directly with United? Thanks in advance! @ Joyce — While technically the are supposed to impose fuel surcharges (since they pass on whatever fuel surcharges are charged on revenue tickets), last I heard they weren’t charging them when booking online. @lucky – I need to book a one way flight from NYC to HNL (Honolulu) using Amex points. My plan was to transfer points to ANA and book a United flight, but as you mentioned above, it doesn’t allow 1-way bookings! Is there another way I can book this flight using my Amex points? Any help is greatly appreciated!! @ glenn — Yep, your best option is Aeroplan. They allow one-way bookings and transfers are instant from Membership Rewards. After finding a couple business class tickets for ORD-MUC on late May on Award Nexus, I phoned ANA to book. I haven’t had as good of luck with the ANA search tool as apparently many others have, and knew that ANA only returned searches for United or Lufthansa flights. The agent said I can’t book LOT flights with ANA miles. Seriously? Any suggestions, as this seems crazy since all are part of Star Alliance. @ Nathan — Wow, that’s very odd. Did you try just booking through the website? You should be able to make all Star Alliance reservations online with ANA as well. Yup, tried booking directly through the website. I am mystified by most people thinking so fondly of the ANA search tool…I’ve only found it clunky, frequently misses things showing on United, and limited regarding what partners show up. In this case, I phoned back the next day and spoke with a different agent. After some confusion, a couple long holds, and explaining that LOT is indeed in the Star Alliance, she did say I could book an award seat. Unfortunately, I was a few miles short because my trip fell over the 9000 mile limit for a 68,000 mile business class ticket, so I had to transfer more Amex points and call back. The third time was a charm….the agent didn’t hesitate booking 2 tickets on LOT. I guess the lesson is keep calling until you get an informed agent. Hi Lucky, does can you please share an link to search award space for ANA’s domestic route? Many thanks! I was looking for award seat on route JFK-DEL. Ana is showing only award seats on UA which are unavailable between Aug-Sep 2014. I didn’t search for only non-stop flights. Ana is not showing award seats on other airlines such as TK, LH etc; however, UA award engine is showing award seats on so many diff partner airlines. can you search this route using Ana search engine and see if you can find award seat on other partner airlines as well. Thanks for the great tutorial, it is a great help. I am doing a search of 4 tickets: YYC-YUL-ZRH-CDG-ZRH-BOS-YYC, everything works fine until I selected the last leg, it gave me a message said ” the number of persons do not match the number of registered persons”, how do I proceed from there? Many thanks. This is really helpful, thanks… what would you recommend for searching availability across One World partner airlines? Which site is the easiest and most helpful to use? I really a frustrated lufthansa miles and more client. I do leave in Rio de janeiro. All dates all flights are either unavailable or only business and first class. As I am flying for a long weekend i do not need to spend all my miles. Probably is a trick of lufthansa. What site do you suggest I can use to see if there are any free seats? This post is invaluable! I apologize if this question has been covered. I couldn’t find an answer doing various searches. Is the availability listed in the ANA Tool for saver awards? Thanks Ben! @ Craug U — Thanks! Yep, the availability listed there is for saver awards. Thank you for this insightful information (especially since Expertflyer no longer has much in the way of *A availability). So I’m trying to look at award tickets from BKK-SYD, but SYD doesn’t show as a valid option for the ANA site… any suggestions? @ DirtyDan — Hmmm, that shouldn’t happen. To clarify, are you just entering “SYD” in the destination code, or are you trying to select it from the dropdown? Make sure you’re doing the former. Ben–has anything changed with respect to the search workaround? I’m not seeing the star alliance search option under the results any more. I can email you a screen shot if you like. Lucky–working now, not sure what happened. Thanks for the response! Has the website gone through some kind of change? When I click the Ana Awards Tool link it goes to a Japanese website. I transferred 1,000 MR points from my Amex account to my ANA account but I’m still unable to see the Partner Airline availability like in the screenshots you have above. Any suggestions/advice? Thanks for the help. @ Brandon — There is indeed a new site, unfortunately. I saw this post and started crying! I still can’t believe it. Maybe is a nightmare? Hi Lucky, I’m wondering if there’s an updated guide to how to use ANA’s search tool, since their site has changed. And/or, is there a better option to search for availability? Thanks!